New toys! Nice! How is performance affected in general by this? How is performance affected in general by this? Not at all .-) And I'm developing my Oolite related things on a 10 years old laptop with a weak CPU. It's still smooth and the FPS range doesn't change, so performance is not affected. The used framecallback doesn't do all updates in one turn though. On every call it just does one update. And the GPU is not in danger as well. It's 1 model with 12 subents (v 4 / f 2 for each). All are sharing the same shaders (~10 ALU), so shader-swapping seems to be no concern as well, but I'm using a pretty small set of AddOns while developing. Texture sizes are small as well (128px x 128px). The only thing is the GC atm. I haven't looked at it closer yet, but I've seen an increase (not unexpected) when the map is active inflight. @BlackWolf: I'll upload a new version and send you the link. Awesome. Can't wait to give it a spin. 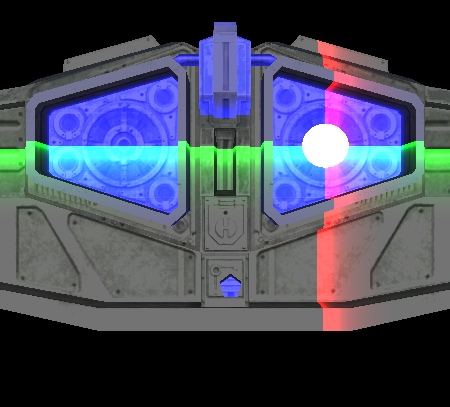 - Added Visual Effect for shields -"lib_shield", a 10 x 10 x 0.4 model (see Screenshot). Yes. Been waiting on this in anticipation. Great, downloading now. I am very interested to have a look at your PAD features. Library v1.7.1 is online and now in the manager as well. - Fix for player got fined in Lib_PAD_Events.js. - Added option to align right in scrToWidth. Additionally Lib_MatFinder is available - a tool to work out materials entries. As this is only useful for developers it's not in the manager. Woah! Nice! Just one thing: In the description of the material properties inside missiontext, it should be mentioned somewhere that shininess is NOT recognized in Oolite 1.88, UNLESS you edit the default shader and set the lighting model to new Blinn-Phong. In the default GGX specular that we use, only gloss is relevant. Edit: It looks like it can't read shader materials. It would be nice if that were possible. Thanks, a_c. I'll add this for the next round. Yes, it only works with the plain materials thing atm, because I wrote it to migrate from custom shaders to the default shader (as much as possible). Reason is that shader swapping is a 1st class performance killer and getting rid of a few custom shaders is surely a good thing. The tool also disables shaders in use to force use of Oolites default shader, when the model gets shown on the main screens. It shows the shadered versions though when you can enter values. This is simply to show the difference between both version to give users a chance to get your material as close as possible to the 'original' version. e) find and set positions of weapon positions and aft_eject_position (this would need a custom shader). :-) Some work, but I'd think it's all doable. Lib_MatFinder will get a feature to visualize exhaust and weapon positions. Unlike the old CCL_Matfinder no changes to scripts or shipdata declarations are necessary. already existing exhaust and weapon positions. It's possible to add a size (corresponding to exhaust scale for x and y) to visualize exhausts positions. 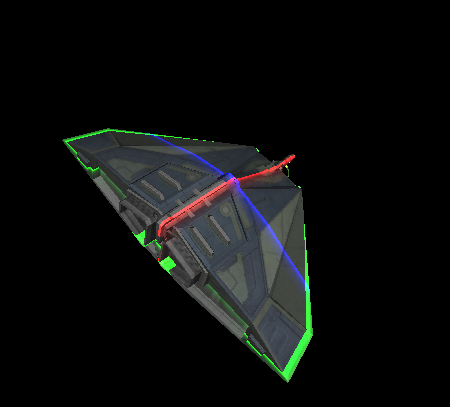 Amazing, will it work for multiple weapons and external dependencies (turrets for example) as well ? Multiple weapons is already supported, positions and orientations of subentities is on my list. Finally I had some time to check Lib_MatFinder. My personal first impression just need one word: great. I probably missed something but I am having some slight problems with the navigation, for example a search function so I don't need to scroll 190+ pages to find a specific ship model and a zoom / move feature so small ships could be centered and not disappear under the text anymore. Thanks in advance, I am probably just spoiled by Gallery.OXP where all this features work well most of the time.